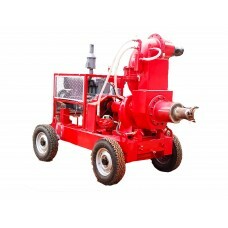 Dewatering pumps | 12"dewatering pump - special edition | Racors. 4” to 12”. These types of pumps include many extra features like Belt Failure / Low Lub, Oil Pressure / High Temperature, Warning light & Alarm etc.